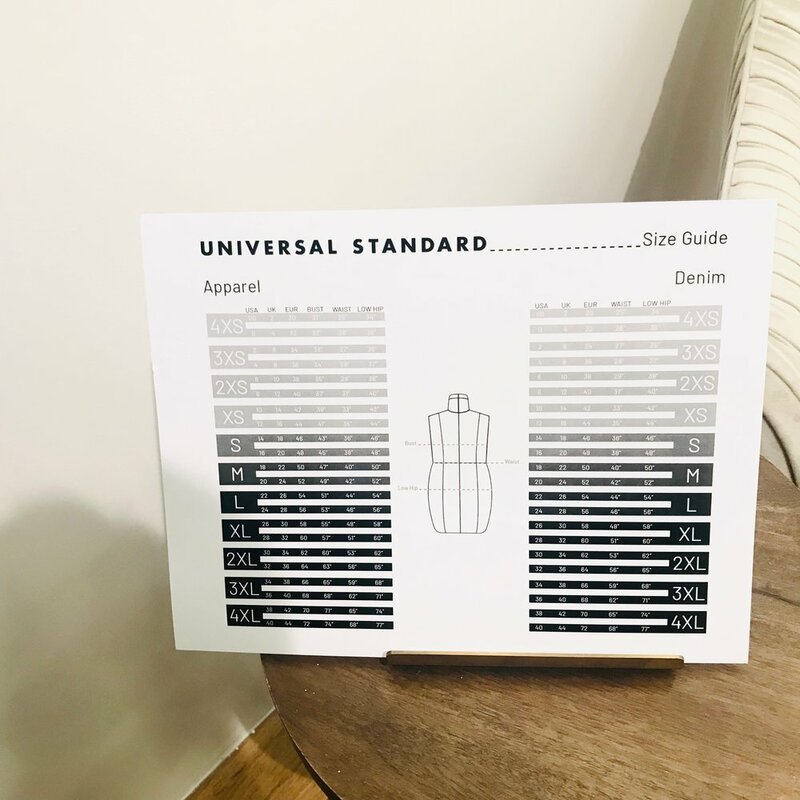 Universal Standard Delivers Fashion Freedom Through Inclusion — Riley Group Inc.
Universal Standard is a womenswear brand started by women that strive for inclusivity and ease of shopping for all sizes. While 67% of women wear size 14 or above, the style and stock options for these sizes are extremely limited. The neglect of this large percentage in mass retailers not only creates a small monopoly for a few “plus size” companies but also degrades those women into thinking they aren’t worth the energy or respect for production in their size. If brands decided to be more inclusive they would be opening themselves up to 67% more sales. Universal standard in their own words, “wanted a size 26 to shop in the same way as a size 6 – using style as her only filter.” This ethos gave way to their revolutionary Foundation collection, which includes 7 pieces, each one purposeful in a modern women's daily wardrobe. For the first time in the fashion industry women who wear 00-40 can wear the same style and same brand. It seems simple but it’s a groundbreaking idea which they intend will become a new norm in retail. Universal Standard also stands out with their all year long price cutting “kits” and their “fit liberty”. For the Foundation Kit it includes all 7 pieces in different colors and sizes for $180 vs $225 the actual retail price of those sold separately. Or, you can choose a smaller kit of 4 pieces for $120 vs $150. It’s not a sale or a promotion, but a chance to buy in bulk pieces to grow a wardrobe without breaking the bank. The spirit of the brand is everywhere from their foundational styles to their idea of “fit liberty”. The fashion world and media has ingrained in women's minds this false idea of buying something that doesn't fit and waiting until you can finally squeeze into the “skinny jean”. Fit liberty throws away anxiety and celebrates the female form in fluctuation. Universal Standard promises that if you buy a piece within their core collection and your figure evolves within a year of purchase they will replace the piece if available with a new size...for free. Since the brand was created by and made for women they understand how our bodies can fluctuate over the year. They do not discriminate over our changing bodies but honor them with respect. It frees female shoppers to focus on themselves rather than the number on the garment. Also, the brand adds another conscious layer of social justice with each gently worn returned garment donated to charities that support women returning to the workforce. It’s unbelievable that there's’ never been a place before where woman of all shapes and sizes could shop the same products in one place. Currently there are two stand alone shoppable showrooms in Soho and Seattle. With a small selection at Christian Siriano’s multi-brand boutique,The Curated in Midtown. I recently visited their Soho location to try their foundation pieces on myself. The style of the store is straightforward like a modern showroom, but stands apart from other retailers with their helpful and eager customer service. 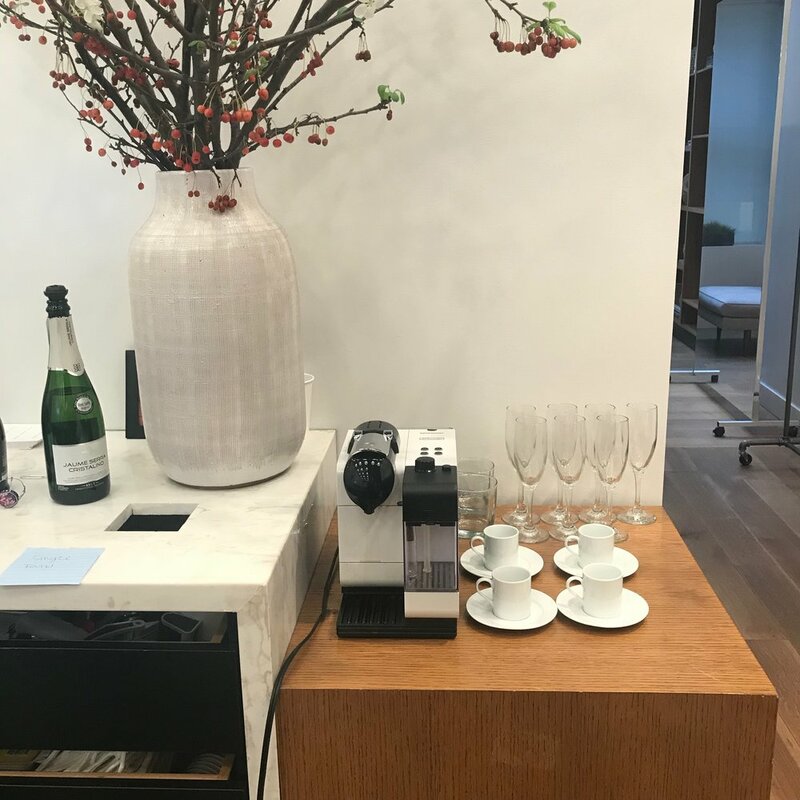 While perusing the styles you can sip on some complimentary prosecco or coffee while the associates find the best fit for you. The passion of their brand delivered online and through social media is well represented in their informative associates. I opted to try on the the four kit piece and found that they were not only extremely soft but comfortable. Other retailers social justice campaigns right now focus on their environmental impacts, which is necessary. But, for the longest time the customer has been neglected. Universal Standard showcases women of all sizes, colors and backgrounds, delivering fashion freedom through inclusion.